Jason is a trial lawyer who represents businesses and individuals in commercial litigation, student disciplinary matters, criminal defense, white-collar criminal defense and professional licensing matters. Jason represents clients in state and federal court in trials and appeals. 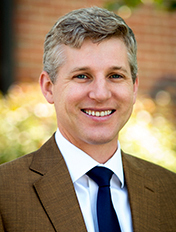 In his civil litigation practice, Jason regularly represents individuals and businesses in contract disputes and trade secret matters. Jason also represents students who have been accused of misconduct. In his criminal law and professional licensing practice, Jason counsels individuals and businesses in response to government subpoenas and investigations and represents clients at trial and before administrative hearing boards. He has also been selected to the Criminal Justice Act Panel for the Middle District of Pennsylvania. Prior to entering private practice Jason served as an assistant district attorney, where he tried numerous jury and bench trials. Jason lives in Lancaster with his wife and three children. He serves on the board of directors of the United Disabilities Services Foundation and on the planning committee for Lancaster’s chapter of 100 Men Who Care.